"2016 Will Be Remembered as the Year of Marvel and Many Strange Things on Netflix"
Editor’s Note: This is the third in a series of four posts from the site’s television writers detailing their top shows of 2016. In order to qualify for the list, a show had to air original episodes in the United States during the 2016 calendar year. 2016 has been a busy year for me as a journalist, but not so busy that I didn't enjoy all the good television programming that came our way this year. Each year around this time, the television staff at Entertainment Fuse compile our list of favorite shows for the past year. Here are my top 10 shows for 2016 - let me know what you think! My wife got me started with Quantico. It didn't take very long for this ABC show about spies, espionage, and spy craft to grow on me and make it into my top 10 shows for 2016. 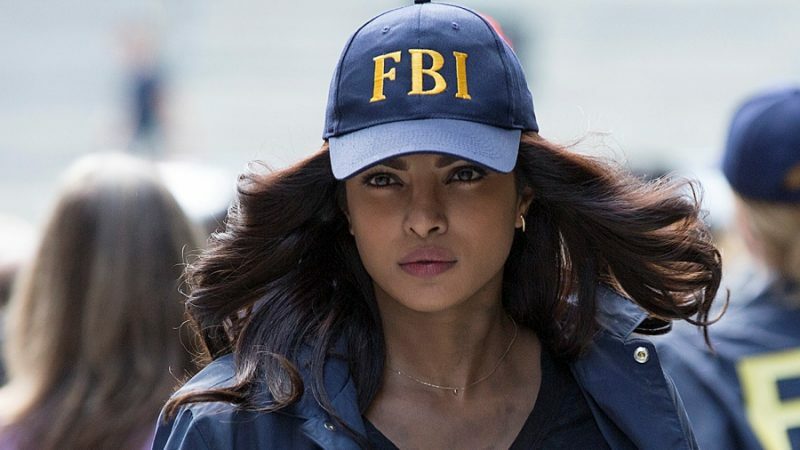 Priyanka Chopra is great in her role as Agent Alex Parrish, and the show has had so many twists, turns, and surprises over the first two seasons that, at times, it has been very difficult to keep up. The show is action-packed, and if you haven't watch yet, I definitely recommend it. You may need to watch some of the earlier episodes to get fully up to speed, but it will be well worth it! Fresh of the Boat is a bit of a guilty pleasure. I first tuned in waiting to watch Marvel's Agents of S.H.I.E.L.D. on ABC, but I was instantly hooked, which made it one of my top 10 shows for 2016. 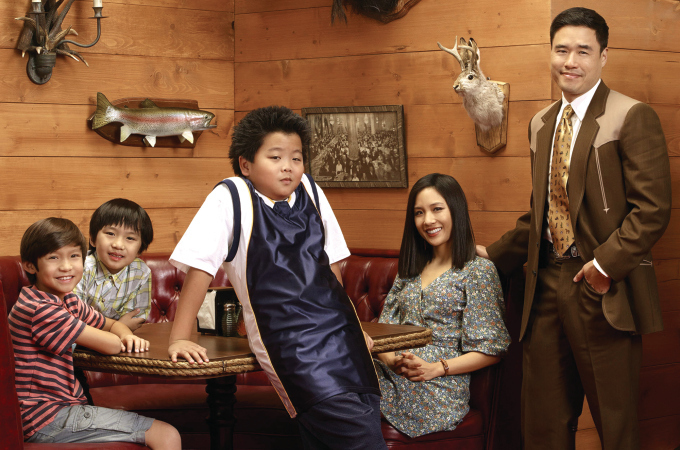 The 1990s setting was very appealing to me because I also grew up during that time period, but the Huang family is genuinely very funny, and I now greatly enjoy watching the show. I hope the ratings are good enough for this show to continue. If people will give it a chance, I think they will also enjoy it. It reminds me quite a bit of one of my favorites from yesteryear, Aliens in America, and other similar comedies ABC also currently airs. ABC's Designated Survivor is another one of those shows that I just happened upon. This story had a very interesting premise - what happens when there is a massive terrorist attack and a man who no one ever expected to become POTUS actually gets the job through the line of succession? 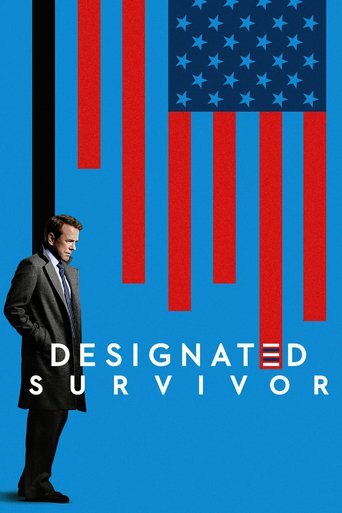 Kiefer Sutherland has been great as the aforementioned "designated survivor," and I'm looking forward to watching in 2017 to see what is next for the Kirkman Administration. 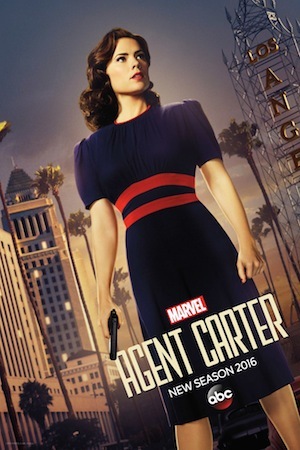 One of the most disappointing things I read in 2016 was that Agent Carter would not be returning. I felt very confident that ABC was making a huge mistake, and Hayley Atwell's new series Conviction would not perform the way the network hoped it would. Agent Carter was a well-made series, and I fear that many out there are still not ready to fully support female leads as superheroes. It will be interesting to see how Wonder Woman and Captain Marvel fair over the next few years. I greatly enjoyed the inclusion of dark matter in the second season of the series as well as post-war Hollywood time period. Will Agent Carter return from the grave in 2017? I sure hope so. The fans must demand it! Marvels fans are either hot or cold on MAoS, but during the last season and halfway through this current season, I have really been impressed with the storytelling, special effects, and character development which easily led to its inclusion into my top 10 shows for 2016. 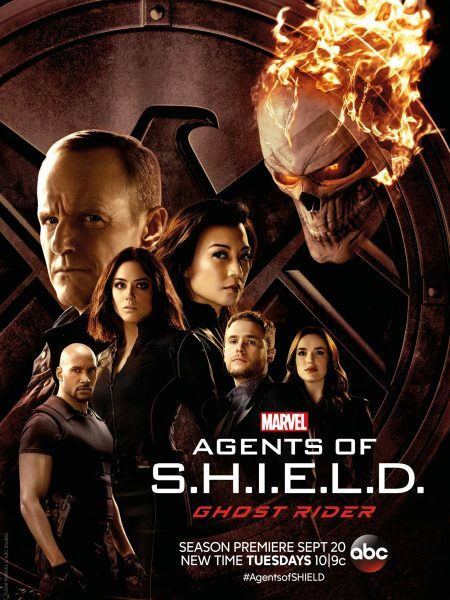 They have really done a great job within the limitations of network television, and the inclusion of the Robbie Reyes version of Ghost Rider has been almost universally been praised. I'm looking forward to the LMD story line in the second half of the season. Hopefully this show doesn't lose any steam after the midpoint, or that ABC makes a horrible mistake and cancel this show like they did with Marvel's Agent Carter. I missed the first season of this ABC show, but I couldn't turn away from the second season, and anxiously awaited each episode. American Crime was also an easy choice for one of my top 10 shows for 2016. The acting was very good, and the social issues covered in each season also make the show very timely and thought-provoking, as well as entertaining. The main actors generally return to play different roles each season, so I am looking forward to watch is ahead for season three. I also need to sit down and watch the first season very soon. The second season of Marvel's Daredevil was just as good as the first, if not better. The new showrunner brought a faster pace, and the introduction of The Punisher and Elektra to the mix were both very well-received by fans. I'm greatly looking forward to season three, whenever it happens, to see what is coming next. We also will be treated to both a Defenders and Punisher series in the meantime - JOY! 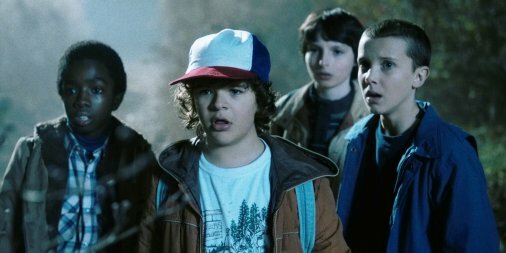 It took me awhile to finally get to this well-received throwback Netflix series, but when I finally started watching Stranger Things I was hooked! This show was easily in my top 10 shows for 2016, and I'm sure its in many other people's as well. Stranger Things reminded me of all the things I liked about the 1980s and teen horror films, all wrapped up into one package! The characters were highly memorable, and the show produced a potent mix of fright, humor, and nostalgia that made it irresistible to most viewers. The second season is well into production, so we shouldn't have to wait too much longer to return to Hawkins, Indiana and the Upside Down! This was one of the most highly anticipated Netflix series of 2016, and Luke Cage certainly delivered. There was even a Netflix overload when the show debuted! Many fans of African-American history and culture felt the show did a great job telling a unique super hero story with a mainly black cast while still being firmly grounded in the Marvel Cinematic Universe and accessible to anyone who was interested in watching. Marvel's Luke Cage was easily the #1 in my top 10 shows for 2016. 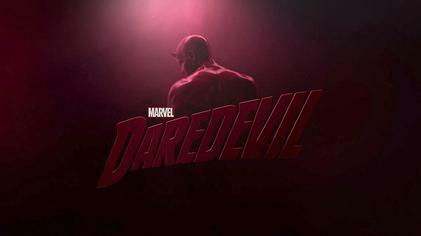 Like Daredevil, I can't wait to see what else is in store, and I'm eager to see how Luke Cage is used in Marvel's The Defenders. If you have read any of my work in 2016, you know I like to reward the reader with something extra for sticking with me to the end - so here we go again, a bonus show I also like in 2016! 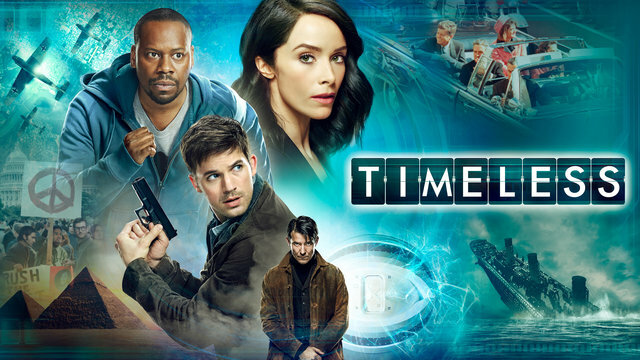 I fully expected to NOT like Timeless this year - I was wrong. The NBC series reminds me a great deal of Quantum Leap, Sliders, Voyagers!, and Time Tunnel. There have been some interesting episodes exploring different periods of history, which can sometimes be hard to do on network television. In addition to the period stories, there are ongoing subplots and conflicts between the main characters, time machine builder Mason Industries, and the federal government. Often, new series continue to improve over time, and are much better in the second half of the first season and in future seasons. I hope that is the case here as well, though I can honestly say I definitely like what I have seen so far. I hope you enjoyed my list. You may agree or disagree, but I definitely hope you enjoyed it! What's ahead for 2017? More good television I hope! This year will be tough to match, but with the second half seasons of many of these shows still to come, it just may be done!